Mom, the Intern: Clara's digs. 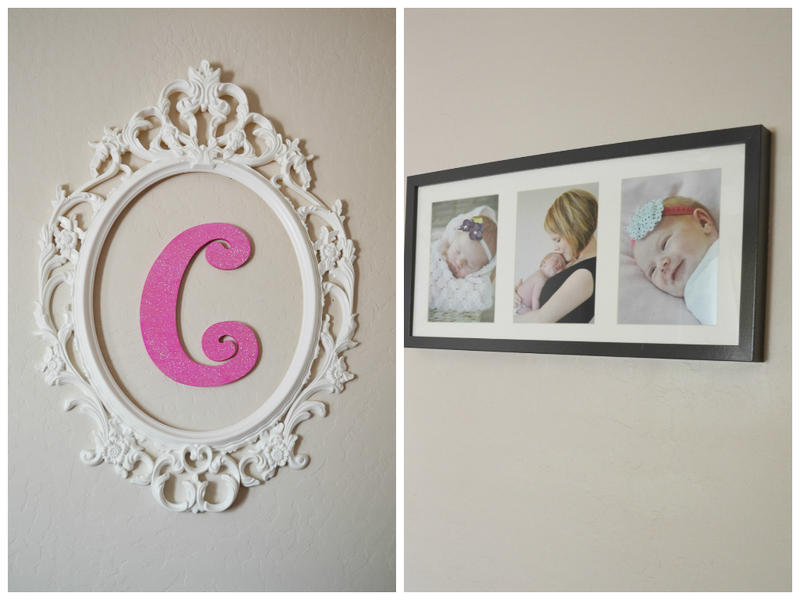 When I found out I was having a girl, I immediately started scouring Pinterest for nursery decorating ideas. I'm a big fan of simplicity and cleanliness when it comes to decorating any space, but it seems especially appropriate for a new baby who needs calmness and peace. Here's a view of the other side of the room. As you can see, I moved quite a few items over from Audrey's old room since she and Carson now share a more gender-neutral room. 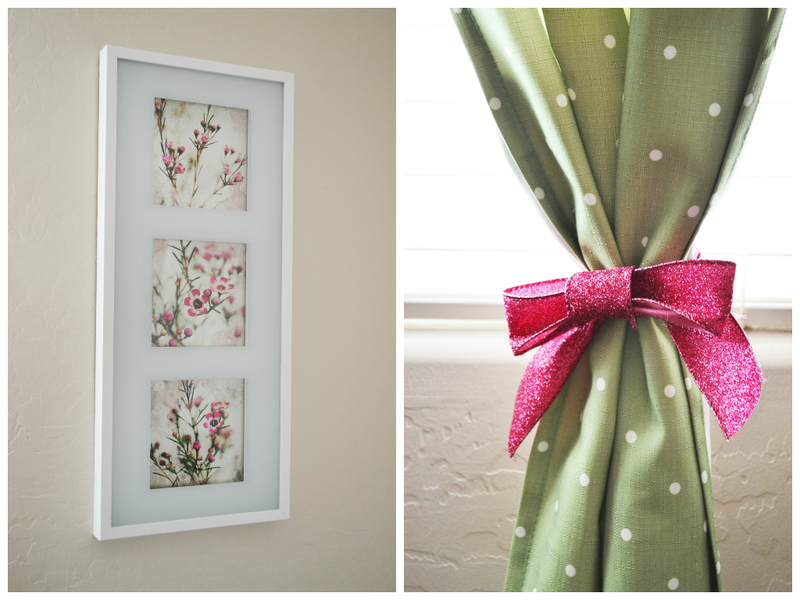 I chose to mix shades of green and pink with various patterns and mediums to make her room interesting. I also added a little sparkle this time -- in the form of glitter, of course. I'm really pleased with how it turned out. I love going into Clara's room and I feel like it suits her personality so perfectly. Easy-going and cheerful, just like my sweet babe. I would love to chat, Alexis! It's so cute! I'm in love with that changing table!